Anti-static pump action spray screen cleaner. Apply with Safetiss or Safecloths. Pre-saturated anti-static wipes for monitors, laptops and anti-glare filters. Kills 99.9% of bacteria (independently tested). 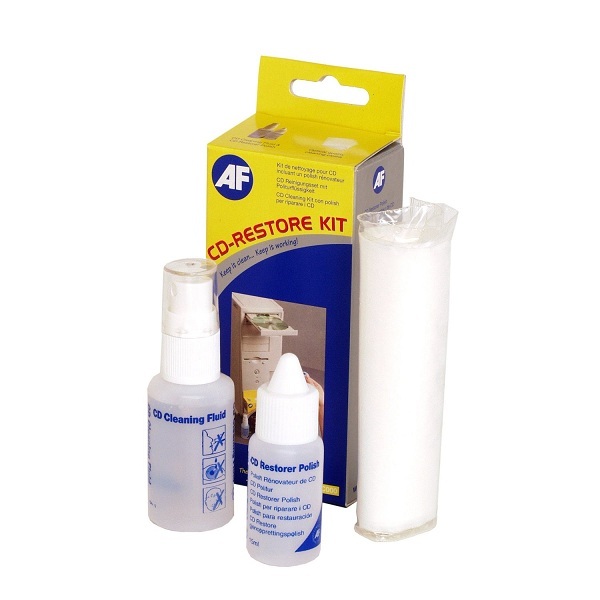 Safe to use on all coated glass & polarising filters. 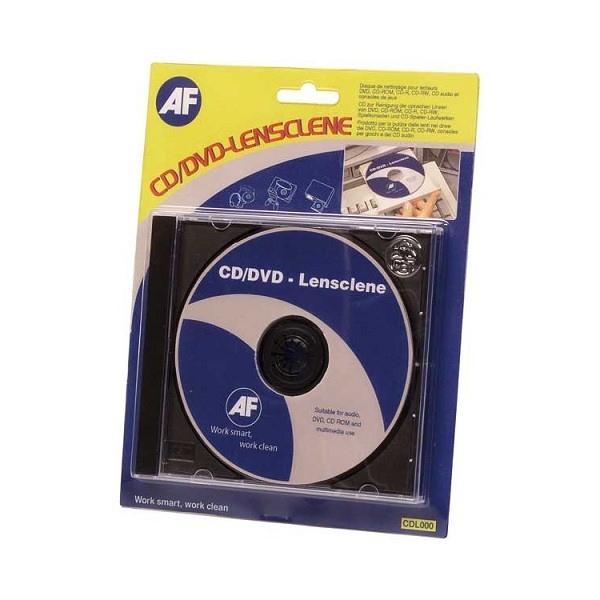 Safe to use on mirrors, lenses, OHP's, microfilm & microfiche readers. Tub of 100 pre-saturated wipes in a re-sealable tub, to lock in freshness. Wet / dry pair of anti-static wipes for monitors, laptops and anti-glare filters. Reduces the risk of eyestrain. Box of 20 individually wrapped wet / dry sachets in dispensing box for attaching to workstation. Non-smearing, non-flammable, non-toxic and OEM approved. Also safe to use on mirrors, lenses, OHP's, microfilm & microfiche readers. Use with Safecloths, Safetiss or Safewipes for a perfect finish. Box of 100 wet wipes in individual sachets. 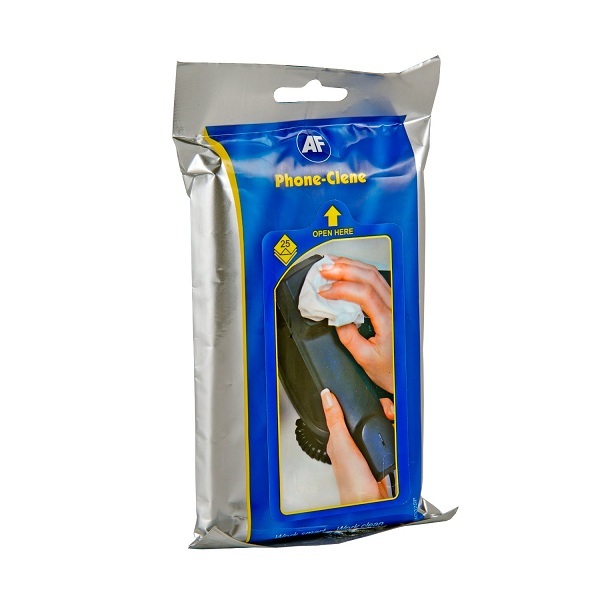 Anti-bacterial phone cleaner for cleaning and sanitising telephones and mobile phones. Handy size pack to carry with you and to use on mobile phones or bluetooth earpieces. 25 pre-saturated wipes in a re-sealable flat pack. Anti-bacterial telephone cleaner for cleaning and sanitising telephones and mobile phones. Use for desk telephones, mobile phones, switchboards, bluetooth earpieces and head sets. 100 wipes in re-sealable tub to keep each wipe fresh and moist. Proven to kill germs for up to 24 hours. Ideal product when hot desking to reduce cross contamination. Box of 100 individually foil wrapped sachets. A gentle non-smearing screen cleaner for use on sensitive screens including LCD, LED and Plasma screens. Also cleans the screens of iPads, Tablets,Touchscreens, iPods, Smartphones and PSP's. Non-flammable, Alcohol free. Non smearing, with anti-static protection with biocide for germ control. Independently tested and proven to kill up to 99.9% of certain bacteria, moulds and yeasts. High quality lint-free single ply paper wipes. Use in conjunction with AF screen cleaners. Safe to use on screens and filters. Extra strength wet or dry. Easy to recycle. Covenient box of 200 tissues. Large isopropyl alcohol (IPA) impregnated wipes in a sachet. The wipe fabric is a lint-free non-woven material with exceptional wet strength. Used for cleaning stubborn stains on hard surfaces. Not suitable for coated glass or sensitive PC or laptop screens. Box of 100 individual wrapped foil sachets. AF Tech-Rescue Kits use special drying agent technology to effectively draw water out of valuable devices that become accidently wet. We can’t guarantee success in every case but extensive laboratory tests show a 95% recovery rate after following the easy instructions on the inside of the recovery bag. Kit Contents - 1 x Mini Dry-Bag with Drying Agent. Suitable for smartphones, mobiles, watches, remotes, MP3 players, small digital cameras, E readers and small tablets.